Set in the beautiful panoramic landscape of the “Perigord Vert”, close to Riberac is located the “Petit Chateau Servanches” in the heart of the village of Servanches, surrounded by open fields, lakes and woodland. Le Petit Chateau dates back to the 13 century making it over 800 years old. 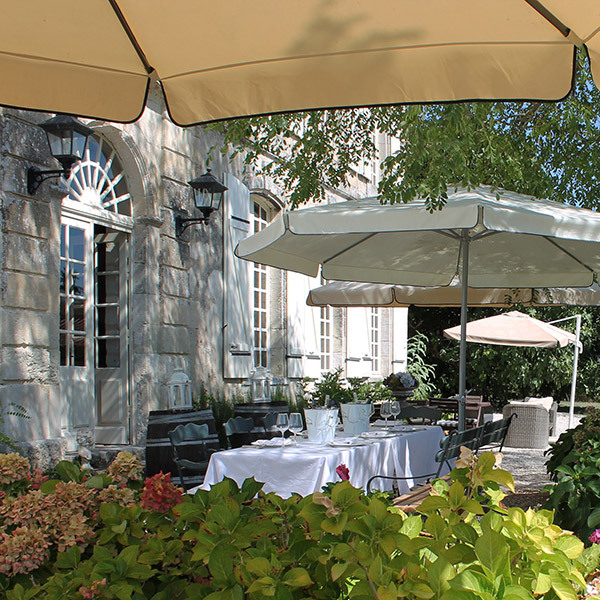 The Chateau is now smaller than the original, but there are many original and historic features that remain to this day. The orginal owner was a English lord, who owned all of the surrounding area of Servanches. The Chateau was a place of rest for the pilgrims on their holy journey. Inside many of the grindstone fireplaces it is still possible to see the signs left by the pilgrims as messages to others. The journey is still made today by pilgrims travelling either on foot or by bike. 3 large ensuite bedrooms suitable for 2 to 4 guests, breakfast is included . Please click for more information. 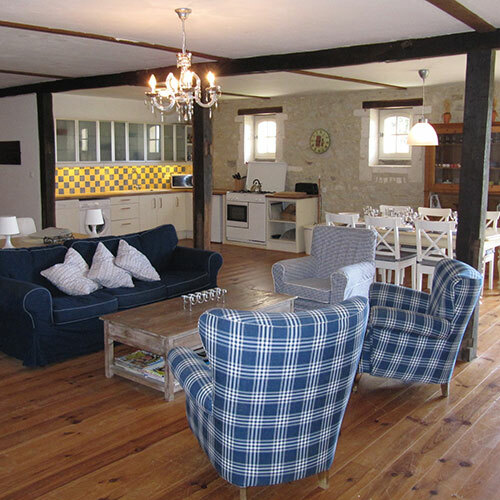 4 spacious gîtes ( cottages ) suitable for 4 to 6 guests. Please click for more information. Have diner in the Château. We propose a 3 course dinner for our guests. Click for more information.